Concealed fixings. Length 520mm. Projection from wall 145mm. Tempered safety glass shelf 120mm wide. 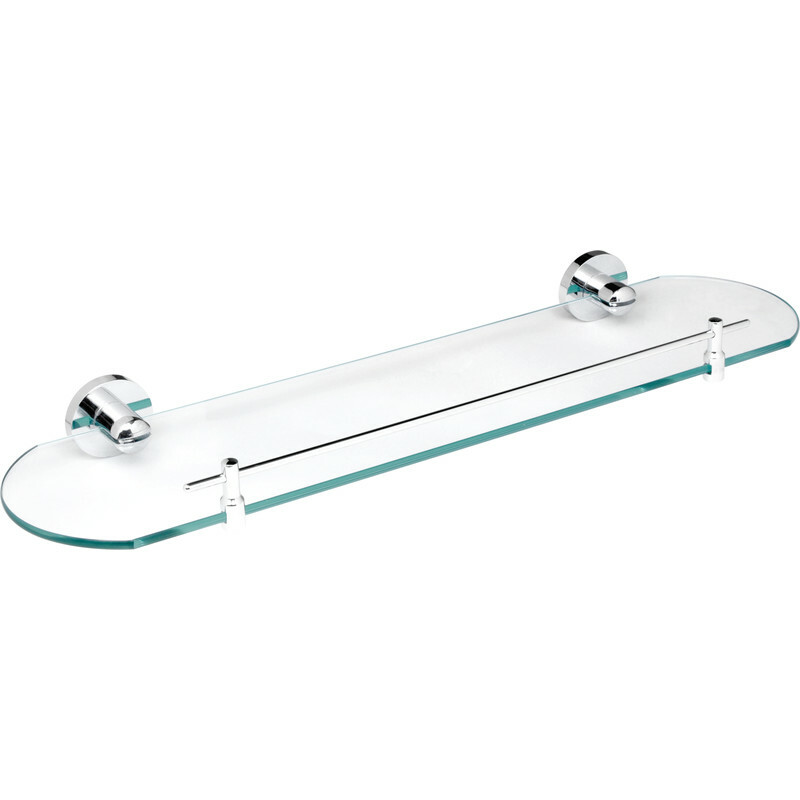 Polished Glass Shelf Chrome is rated 4.5 out of 5 by 4. Rated 5 out of 5 by Dedge from Well finished easy fitting Received as seen in cataloug, a good product. Rated 5 out of 5 by simonthe snap from Really nice shelf well priced I have purchased this shelf a couple of times now for different bathrooms, looks great, no wear issues will use it again. Rated 3 out of 5 by Old dog new tricks from Scratched glass shelf. I bought this to add some style to a small cloakroom. Kept in storage for months while contruction ongoing, when opened found the glass scratched. Not Toolstations fault, just poor manufacturer inspection. Apart from that great, good deep chrome, good fixings - but I never use the supplied wallplugs, best go for Fischer! Rated 5 out of 5 by Clivey from good price and quality looks very good with the rest of my shower room.